Don’t do it. Just don’t. And then if you end up doing it anyway, for the love of Stephen King, don’t do it again. And then...again! That’s the 50 cent summary of 1989's Pet Sematary, directed by Mary Lambert with a screenplay by author King (who has a fantastic cameo, too). 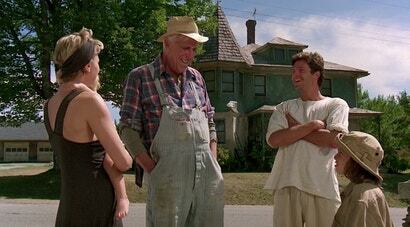 Plot-wise, the movie is very faithful to the 1983 novel, with just a couple of key character changes. With a remake on the way that looks like it introduces some new twists designed to scare the pants off contemporary horror fans, now seemed like a good time to revisit this low-key yet dread-filled horror classic about a family who can’t stop making terrible mistakes. Even if you haven’t seen the O.G. movie or read the book, you probably know the basics: A family moves to a rural house that’s adjacent to a pet cemetery (whose sign has been misspelled by a child’s hand), which in turn is just a few briar patches away from a sinister burial ground that can bring dead creatures back to life. There’s also a country road that’s somehow the favoured route for 18-wheelers trying to make it across Maine as fast as they possibly can — hence, why so many unfortunate pets have met untimely ends. The Creeds—father Louis, a.k.a. “Doc” (Dale Midkiff); mother Rachel (Star Trek: The Next Generation’s Denise Crosby); kids Ellie (Blaze Berdahl) and Gage (Miko Hughes) — have moved from Chicago to New England for Louis’ new job, and it’s also made very clear that Louis and Rachel’s Chicago-based father don’t get along, for reasons that go unexplained, so he welcomed the distance. Anyway, the new house is lovely, but that weirdly busy road is worrisome...you’d think, especially after toddler Gage nearly gets run down while they’re unpacking the car, that someone would think to put up a fence. Nah. Even kindly neighbour Jud Crandall (Fred “Herman Munster” Gwynne, the movie’s most excellent casting coup), who’s lived by the road his entire life, doesn’t have a fence. But he does have plenty of information about local lore, which is of course what ends up getting the Creeds in all kinds of supernatural trouble. Don’t go here. WHY WOULD YOU GO HERE? A surprising amount of Pet Sematary takes place during the day—including big moments like Louis and Jud’s first visit to the malevolent zone to bury Ellie’s beloved cat Church, and Louis’ initial encounter with the friendly but gory ghost of one of his deceased patients, Victor Pascow (Brad Greenquist) — a reminder that horror can manifest anywhere. The movie’s biggest gotcha is, of course, the death of Gage, who’s tragically splattered across the road while chasing a kite string under a gloriously sunny sky. 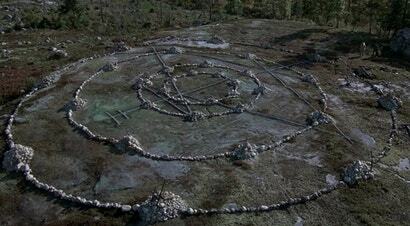 Though it introduces freaky things like ghosts, hissing zombie cats, scalpel-wielding tots, and the idea that a random patch of land can be magically evil, Pet Sematary is mostly concerned with the crushing fear of death, a theme that becomes repetitive and is ultimately couched in a warning that we need to accept death as a part of life that can’t be ignored or altered. 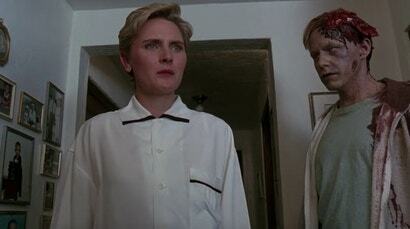 That’s problematic, Doc. But everyone’s tenuously logical behaviour — sure, the cat’s been acting extra weird since being resurrected, but Ellie’s none the wiser, so no harm done, right? — flies out the window after Gage is gone. Louis and Jud both grapple with tremendous guilt, while ghostly Victor tries to warn Rachel and Ellie about the burial ground even though neither has any idea what’s going on (and Ellie is, like, eight years old and still not sure what mortality means). Pet Sematary builds toward another inevitable story beat — the transformation of Gage from sweet tot to murderous li’l monster — but the characters have already suffered plenty of emotional damage prior to that point. Victor is the would-be hero of this whole story, and he only has half a brain left. In the end, trying to dodge death backfires on everyone — especially Louis, whose love for his son tempts him to do the exact thing he shouldn’t — in the worst way possible. The movie isn’t particularly shriek-inducing when you re-watch it (though it does have some unintentionally funny moments, like when Louis forces a hysterical Rachel to down a Valium), but it cultivates plenty of still potent feel-bad vibes, even if other parts of the movie haven’t aged as well. 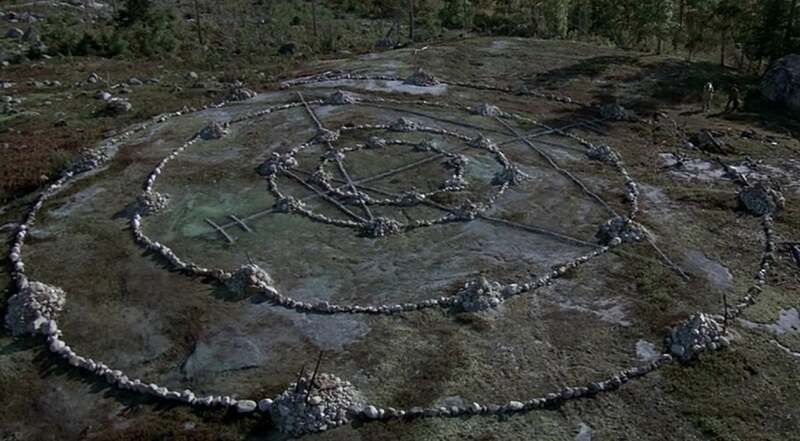 It’ll be interesting to see how the upcoming remake handles some of Pet Sematary’s more dated elements, like the cursed burial ground — a favoured late-1970s/early-1980s horror trope (see also: Amityville Horror, Poltergeist) which here is traced back to the local Micmac tribe, though we only see white characters in the movie, and there’s no explanation given beyond “the ground is sour”. The 1989 film is pretty limited in its special effects, but the stuff it does use — especially the prosthetics that create Victor’s oozing brain, Zelda’s twisted spine, and Jud’s sliced-up Achilles tendon—is incredibly effective. 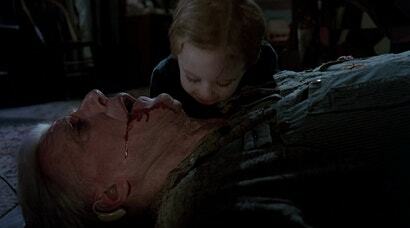 Miko Hughes’ performance as Gage came before the “spooky kid” thing was a totally overplayed type, and his screen time is cleverly edited to make the most of what a three-year-old actor can actually pull off. There are several effective moments where he’s actually off screen, causing chaos or giggling menacingly, and the character is still unsettling as hell. 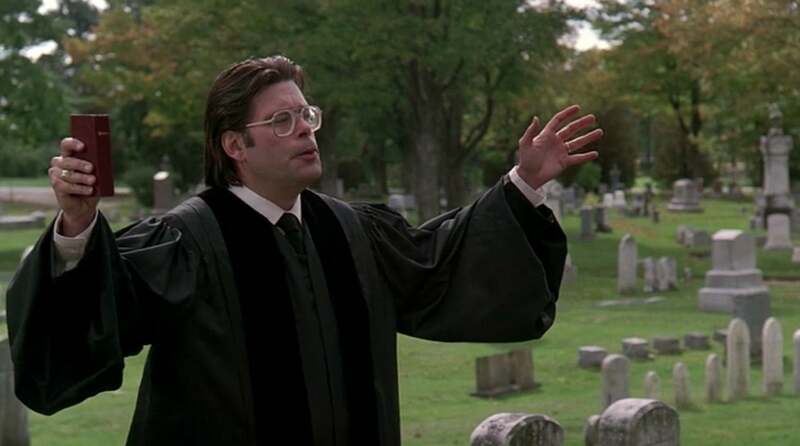 The trailers for the Pet Sematary remake have offered some decent hints as to what we can expect; for instance, that there’ll be a lot more delving into the dark forces that govern the cemetery (as well as darkness, period). Back in 1989, King adaptations were already hugely popular; there’d been Carrie, The Shining, Creepshow, Cujo, The Dead Zone, Children of the Corn, Stand By Me, and others. Thirty years later, not much has changed — least of all the timeless fear of death that looms over all of King’s works, with Pet Sematary in particular exploring a loophole that feels like the ultimate gift, but ends up being a second chance that nobody should ever take. 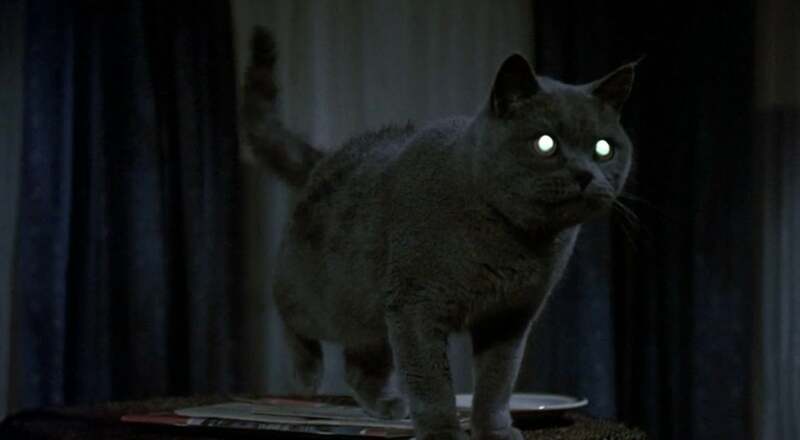 The Pet Sematary remake had its world premiere at South by Southwest on March 17, and is out in theatres on April 4.